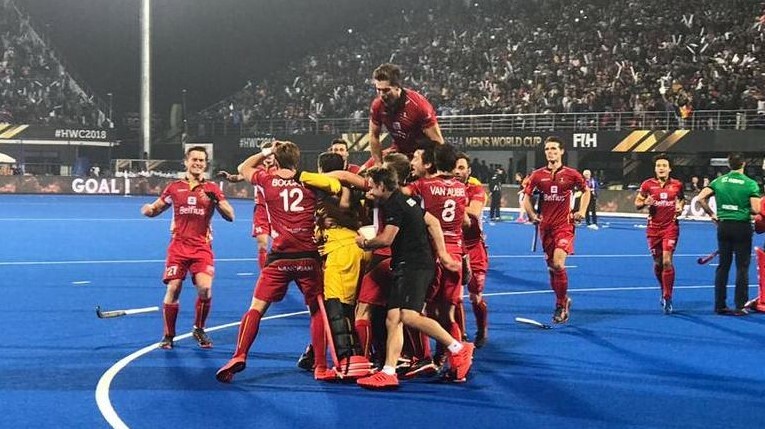 Hockey World Cup 2018: Belgian Become Champions After Defecting Netherlands: Belgian men's hockey team defeated Netherlands 3-2 (0-0) in the final of the World Cup title for the first time in an extremely exciting final, which was held at the Kalinga Stadium here. For the first time in the history of the World Cup, a final match ended without any goals and went to the penalty shootout. With this defeat, the dream of winning the title of the World Cup winning the Netherlands for the fourth time was broken. They lost their title in 1998. Pakistan has won World Cup title for the most four times. Both teams started the first quarter in the first quarter. The Netherlands and Belgium players played a great passing game and did not make any special mistake in the defense. The shootout was also quite exciting. The Netherlands were 2-1 ahead, but Belgium equalized 2-2. After this, the efforts of both the teams failed, and both of them crossed the limit of maximum efforts. Belgian scored the goal in the first attempt at Sudden-Death but the Netherlands could not score and the Belgian team drowned in the spectacular fireworks at the Kalinga Stadium.